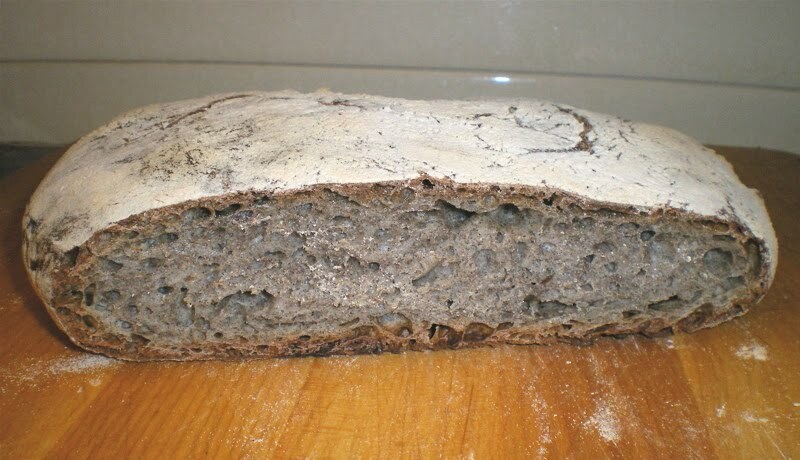 Recently made buckwheat bread using Jim Lahey's foolproof bread recipe (see post of November 19, 2009), but with 3/4 white, 1/8 whole wheat and 1/8 buckwheat flours. Ugly, bluish color but delicious. I love the nutty taste of buckwheat and this had it. Then I read Mark Bittman's recipe in The New York Times for home made olive oil matzo and decided to try it. A reasonably tasty but ugly flatbread - not puffy like the pictures. I decided to use the same recipe, but to prepare the bread on a grill pan instead of baking it. After a few experiments, I got a delicious and nice-looking result, using a medium grill pan and brushing the bread with olive oil and a little sprinkling of fleur de sel.